Lead Alysha Curry offers an impressive performance in the debut production from Really Really Theatre Group, says critic Dusty Somers. If you could nip and tuck an element of your psyche, what would you choose? Would you dial down the jealousy? Amp up your ambition? Fine-tune your feelings about another person? 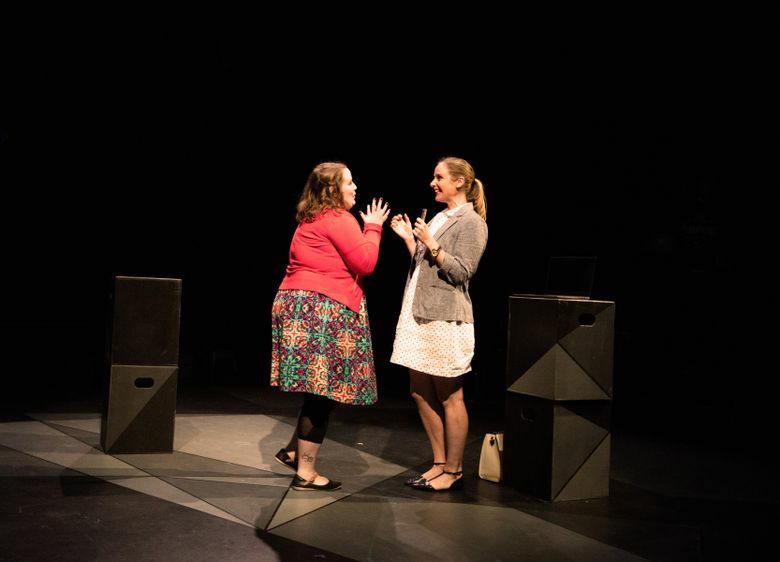 In “Much Better,” a new play by Elisabeth Frankel set in a mostly familiar future, everyone has the ability to make any of those changes thanks to a (not-so-painless) medical procedure called Neuroclear. For Ashley (Alysha Curry), a woman whose outsized personality has started to alienate her, some changes would be welcome. “You’re kind of … a little … crazy,” says her co-worker Morgan (Ali Lawrence), stalling, but failing to find a way to soften the blow about why Ashley was passed over for a promotion. “You’re wonderful,” says Simon (Nick Ferrucci), Ashley’s childhood buddy and longtime crush. “In moderation,” he adds, just minutes into their first meetup in months. With friends like these, personality-altering surgery doesn’t seem so bad. 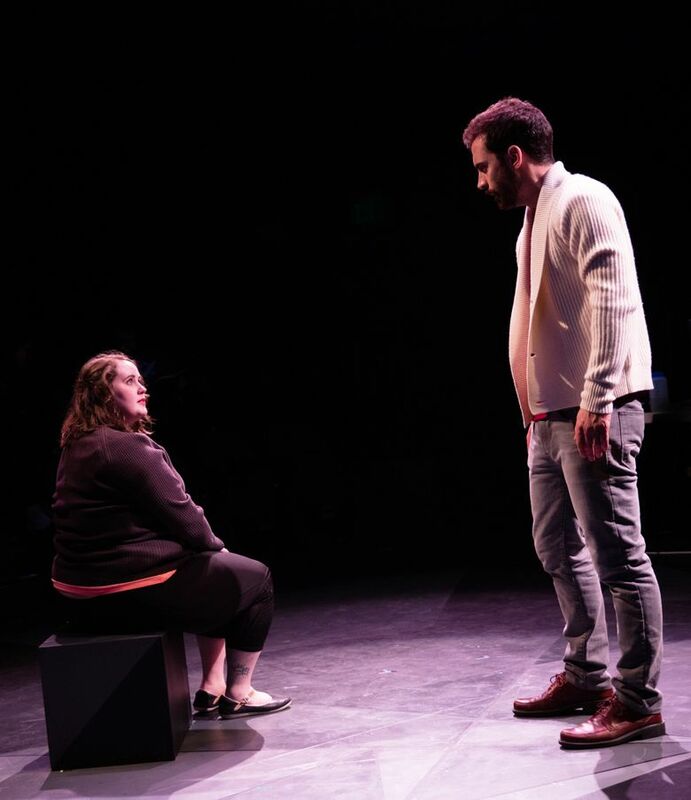 “Much Better” is the debut production from Really Really Theatre Group, a new company founded by three friends who met at the University of Michigan, including Northwest native Henry Nettleton, who’s directing the show. Though they’re billing this staging as a developmental production, the play arrives confident in its aims and with little wasted motion in a brisk 75-minute runtime. Curry takes the stage panting for air, and her wide-ranging performance traverses a path from breathless to nearly comatose as she recounts key moments in her life for Dr. Keith (a mercurial Lamar Legend), the inventor of the Neuroclear method. As Ashley documents her unsatisfying life, Dr. Keith adjusts the levels in her brain, dulling some memories and eradicating associations from others. The first procedure seems to go well. It won’t be the last. “Much Better” has an obvious touchstone in Charlie Kaufman’s script for “Eternal Sunshine of the Spotless Mind,” a work with similar musings about the relationship between memory and identity. How much of your brain can you change before you’re not “you” anymore? But Frankel’s brand of science fiction is relentlessly interior — less about the mechanics of its futuristic conceit and more about the moment-to-moment state of Ashley’s frayed-edge soul, reflected in Charlie Spears’ nerve-jangling sound design. The desperation of Curry’s performance brings this concept to life, consistently reminding us of the avalanche of unspeakable feelings that are bound up inside. It’s an impressive feat. Plenty of information-age satires lay the blame on the technology. There are dating apps and push notifications in Frankel’s vision of modern times, but they’re not the problem. They’re not even a symptom. Instead, there’s a dread inherent in being a human being that’s independent of any effects of living in an age of information overload. In “Much Better,” technology has found an answer for this conundrum. But you’re not going to like it.